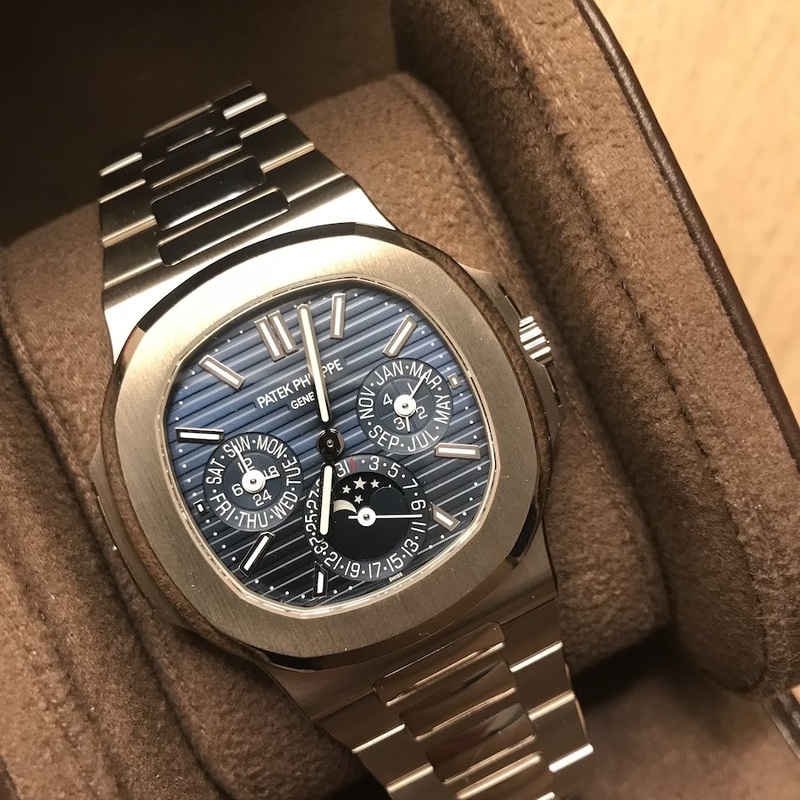 Brand new Patek Phillippe Nautilus 5740 (5740/1G-001) Perpetual Calendar. 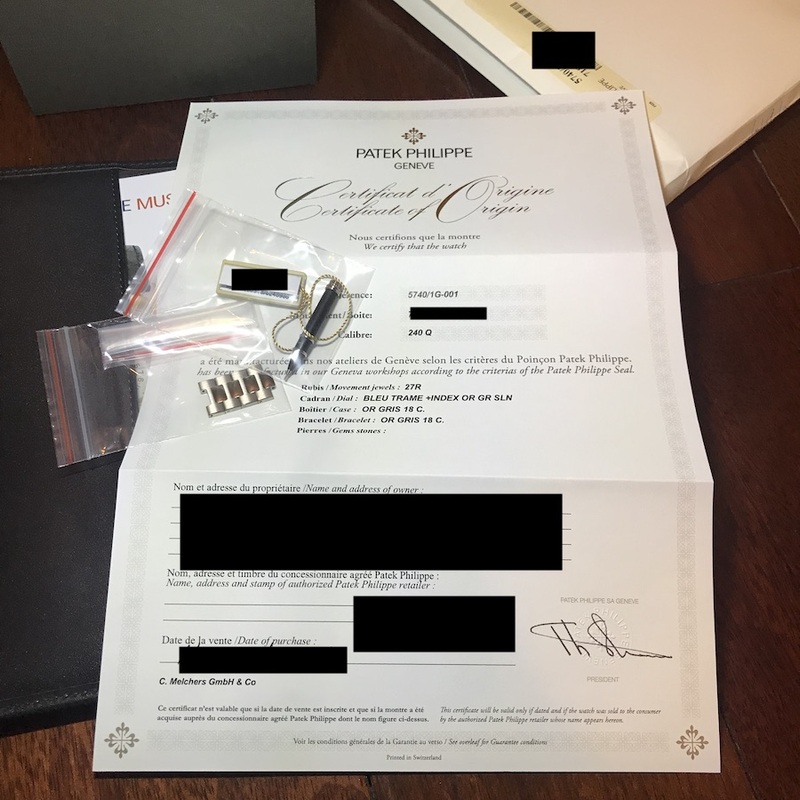 As from AD, full set with all paper work, booklets, certificate, polishing cloth, calendar pen and the watch winder box. 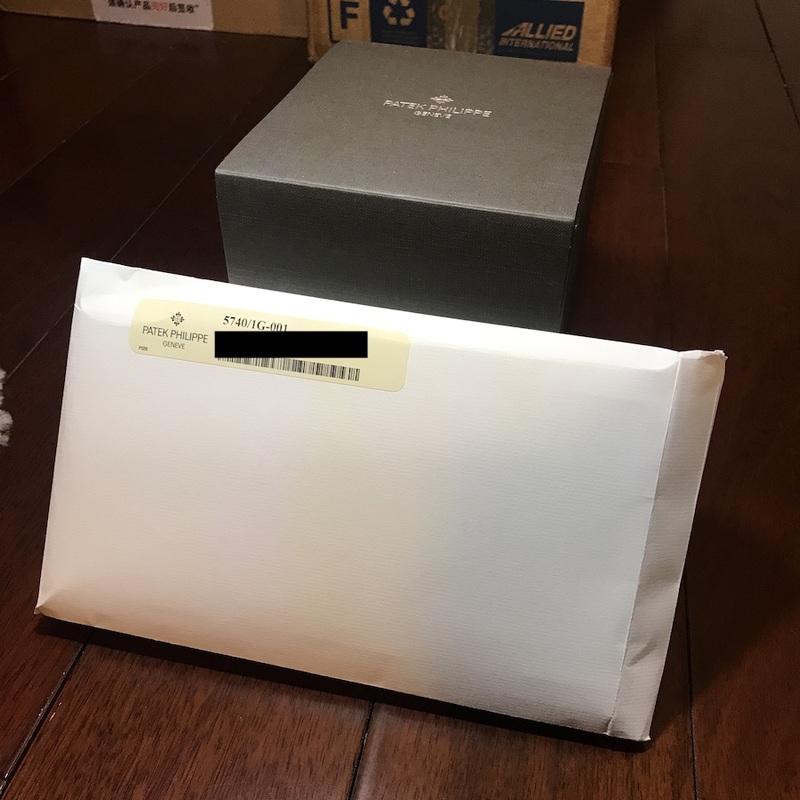 This example also comes with the envelope and hang tag with serial numbers corresponding to the watch. 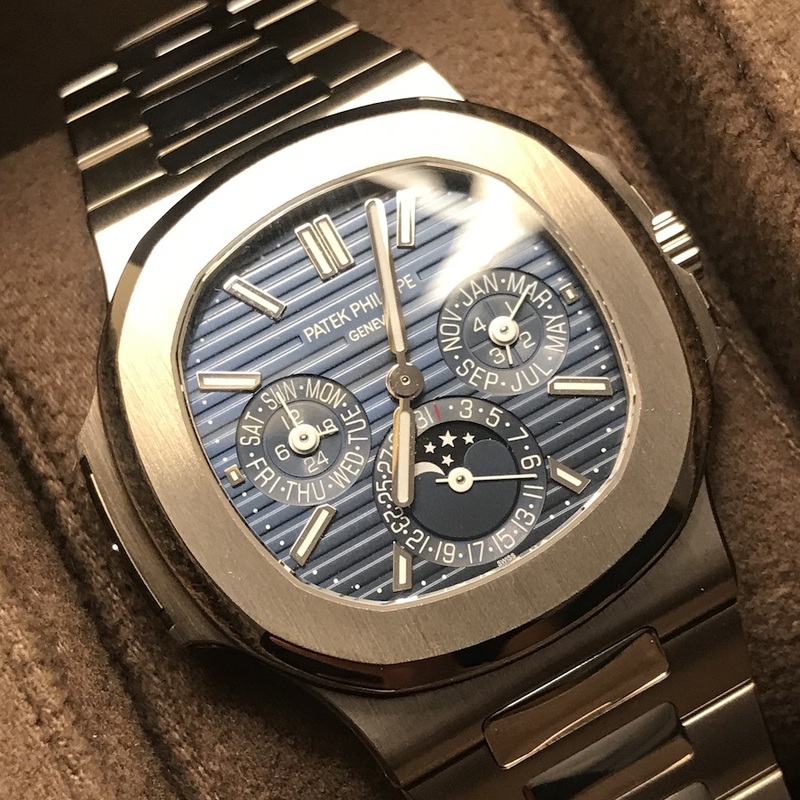 Watch was dated early March 2019. Four links have been removed from the bracelet by the AD and will be provided. References: global references available from selling and buying from well known collectors and dealers.